During an appearance on Monday’s The MMA Hour, Alistair Overeem said that he never engaged in talks with any other promotion during free agency before deciding to re-sign with the UFC. Technically, that might be the case. Overeem himself didn’t — but, according to Bellator president Scott Coker — his representatives did. 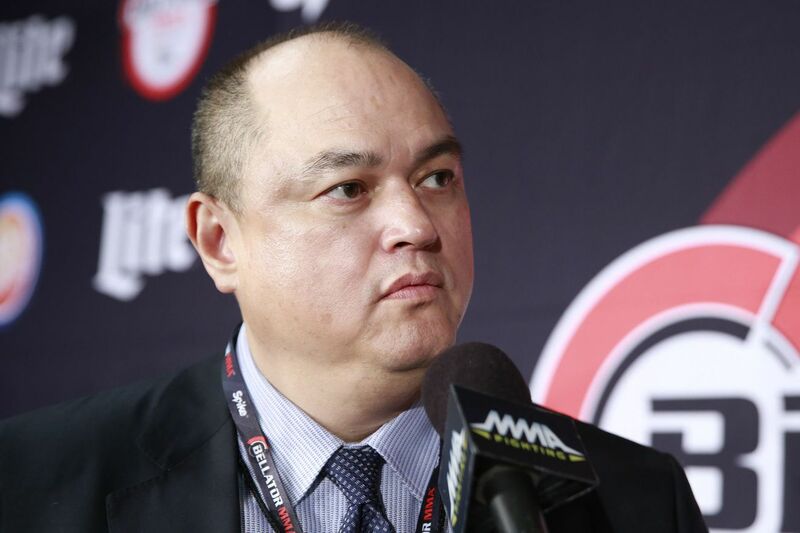 “I don’t want to make a big deal out of it, but of course there were negotiations going on,” Coker told MMA Fighting on Tuesday. “It’s true that Alistair wasn’t talking to me directly, because his agent or manager or lawyer was talking to me. I think that’s kind of what the story is, and negotiations went back and forth, and at the end of the day we chose not to make an offer. And really what it came down to was a value proposition of what he wanted and what he thought was the market value for him. Overeem signed his new contract with the UFC a few days ago, and is already slated to fight in his native Holland in May. During the show, he was reluctant to get into the details of his new contract, though he made it pretty clear that the UFC was the only player for his services that he listened to. Earlier on Monday, another coveted free agent — 26-year old bantamweight Aljamain Sterling (12-0) — announced that he, too, re-signed with the UFC. Coker said that Bellator deliberated over Sterling as well, before opting to forego pursuing him. Mike Tyson reacts to Ronda Rousey’s suicide comments: She’s fine now!